Indian Railways’ target of increasing freight tonnage by an incremental 85 million tonnes (mt) in 2015-16, against the traditional annual average of 50 mt, might appear ambitious, but the national transporter believes achieving such growth will not be a big ask. The railways is pinning hopes on gross domestic product (GDP) growth of more than eight per cent in 2015-16. It also hopes recent reform initiatives, including e-auction of coal (which will raise demand for coal transport), will lead to a revival in key sectors such as energy..
“The railways’ loading is directly linked to GDP growth and is, in fact, projected a notch higher. We did the entire calculation of incremental 85 mt tonnage (increase) based on the anticipated 8-10 per cent growth next financial year. The target is stiff and difficult but we want to challenge ourselves,” Ajay Shukla, member (traffic) of the Railway Board, told Business Standard in an interview. In the Railway Budget presented in Parliament on Thursday, Railway Minister Suresh Prabhu had announced the railways estimated freight traffic would grow from 1,101 mt in 2014-15 to 1,186 mt in 2015-16. Of the additional tonnage of 85 mt, 42 would be accounted for by coal (the largest component of the railways’ commodity traffic basket), while nine mt would come from iron ore and seven from cement traffic. Shukla said the primary contributing commodities to this incremental growth would be coal, iron ore, cement and steel. Asked whether the railways would be able to attract the additional traffic, given the average three per cent rise in freight rates, which has made Indian Railways less competitive, Shukla said the ministry had rationalised freight rates, not increased those. The rationalisation exercise has, however, led to higher rates for some commodities. “The basic idea is to incentivise long-distance freight traffic by reducing rates and compensating for this by increasing the rates for short-distance traffic marginally. We have also taken care to avoid an impact on items that directly impact the common man, including petroleum products,” Shukla said. 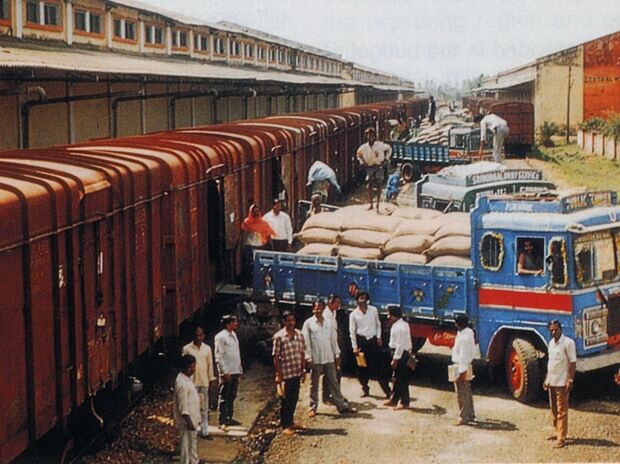 Commodities hit the most by the freight rate restructuring are foodgrain, which account for 5.2 per cent of the railways’ traffic, and fertilisers (4.2 per cent). For both the segments, freight rates have increased up to 10 per cent. “Freight rates in both these commodities are subsidised by the government. We have ensured the common man is not impacted,” Shukla said. 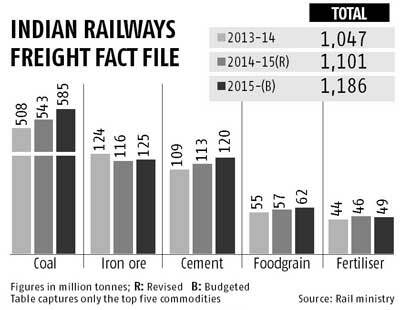 The average three per cent rise in freight rates will give the railways an additional Rs 4,000 crore in 2015-16. The railways has revised its estimated freight earnings for this financial year to Rs 106,927 crore from Rs 1,05,770 crore estimated in June 2014. In 2015-16, freight earnings are estimated to record a steep 13.5 per cent jump at Rs 1,21,423 crore.